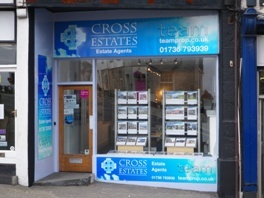 Cross Estates was established in the early spring of 2003, the directors of the company seeing a need for an OWNER RUN, local independent Estate Agents covering St Ives and the surrounding area. After working for larger corporate Estate Agency Firms and Financial Services companies, we bring with us a corporate aptitude for business combined successfully with the service, professionalism and quality one would expect when dealing with an independent Estate Agents. With all our staff living locally, our local knowledge not just of the area but also the unique market place is immense, and extremely helpful for potential vendors or purchasers alike. Since we have opened we have evaluated every year the needs for change, as an owner run business any changes can be made swiftly , with this ethos we have gone from strength to strength to become one of the market leaders in the beautiful part of the country that we work. Our strongest believe is that we are here to help, either in the selling of one of your most valuable assets or helping you find your ‘Dream’ home . Renowned for our sales successes where others have failed, this never give up attitude has earned us a formidable reputation in the area, for selling all types of property, from the detached marine residence, the large development opportunities through to family homes. Our office in St Ives is a happy and hard working office, and as one famous prime-minister once said ‘Attitude is a little thing that makes a big difference’ and we believe that in our company this is true. We look forward to perhaps dealing with now or in the future.